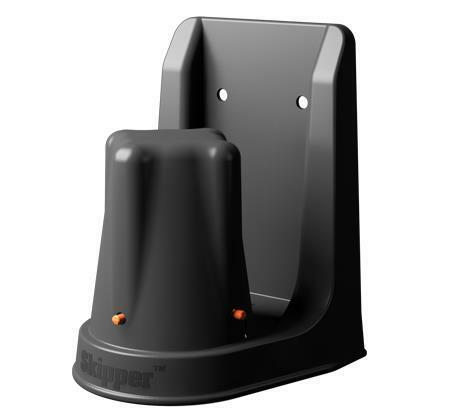 The Skipper magnetic support brackets hold the Skipper unit in place without the need for a cone or post. The magnetic version is perfect for attaching the bracket to vehicles and metal shelving. Simply place the bracket onto the desired metal surface, then click the Skipper unit into place on the bracket (use the orange locking clip to locate into the four corresponding holes on the Skipper). You can then pull the tape out as usual.